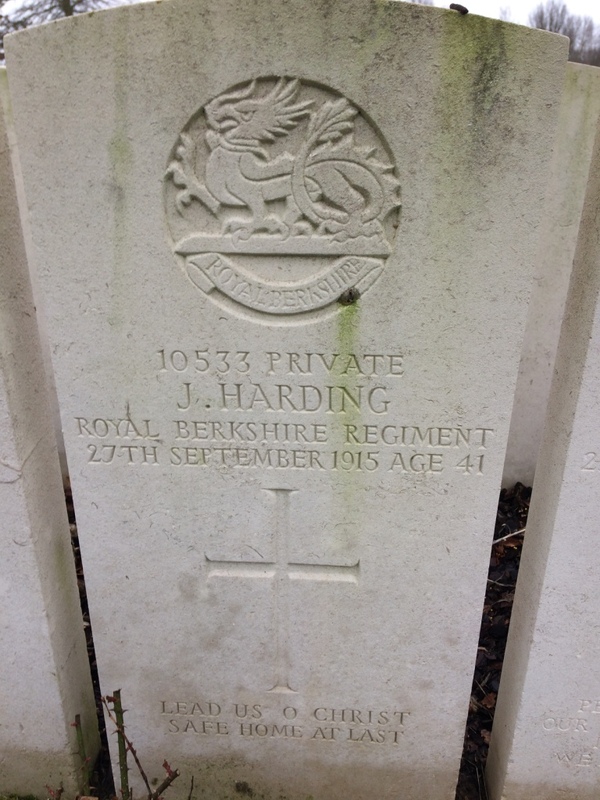 John was one of at least six children born to James Harding, a farm labourer from Cookham, and his wife Lydia, a seamstress from Cookham Dean. His parents died when John was young, James in 1878 and Lydia in 1884, both were just in their forties. John joined the National Reserve then later transferred as Private 10533 to the 2nd Battalion of the Royal Berkshire Regiment. The 2nd Royal Berkshires were part of the 25th Brigade in the 8th Division which stayed on the Western Front throughout the war. 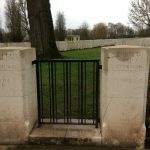 They had landed at Le Havre in November 1914 and in March the following year, they were engaged at The Battle of Neuve Chapelle, 10-13 March 1915. John’s medal cards show that he entered the theatre of war in France soon afterwards, on 18 March 1915. 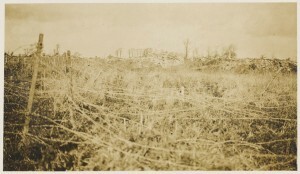 The Battalion was then engaged at The Battle of Aubers, 9-10 May, and The Action of Bois Grenier, on 25 September, which was a diversionary attack coinciding with The Battle of Loos. 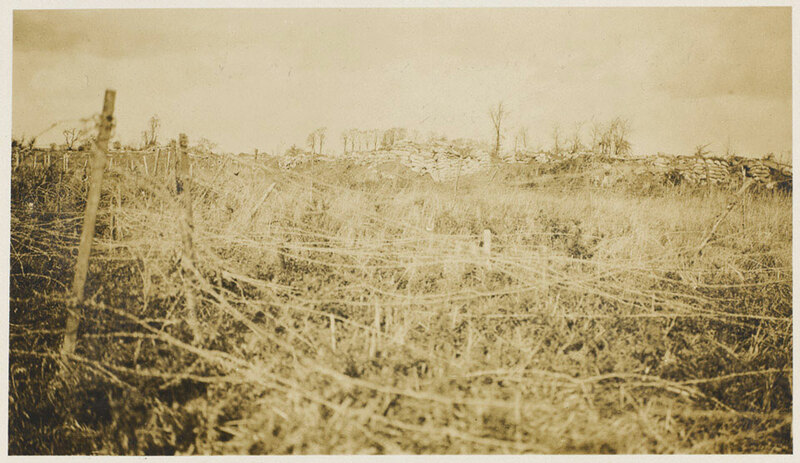 Left: The British front line at Bois Grenier, taken in August 1915, from The National Army Museum website It shows the belts of barbed wire fences protecting the front-line. The 2nd Berkshires suffered heavy losses at Bois Grenier. The Battalion’s war diary (published on the website www.thewardrobe.org.uk) for 25 September 1915 confirms the Battalion took part in an attack on the German position and during the day sustained the following casualties: 7 officers killed; 5 officers wounded. Other Ranks: 32 Killed, 143 Missing, 216 Wounded. 1 man admitted to hospital sick. The following day, three companies of the battalion were in billets near Fleurbaix, and one company was in close support of No 6 Section. On 27 September, they proceeded to Divisional Reserve billets near Bac St Maur at about 5pm. One man went to hospital, two men returned from hospital. It seems likely that John was one of the 216 men injured on 25 September 1915 at Bois Grenier. 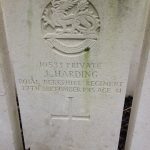 He died of his wounds on 27 September at Casualty Clearing Station 2, at Bailleul. He left a widow and four children under 11. 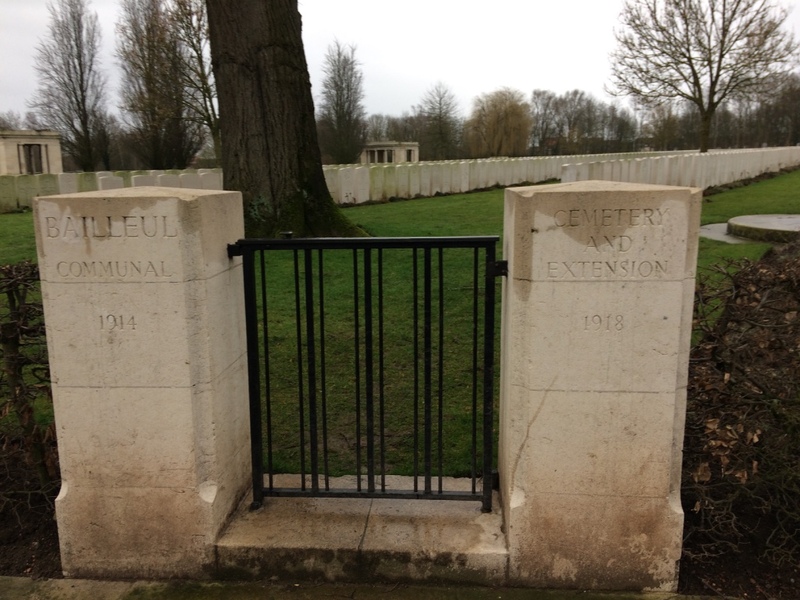 John’s records at the Commonwealth War Graves Commission, indicate that he was buried at Bailleul Communal Cemetery Extension, left, in plot II, row A, grave 21. His epitaph, ‘Lead us O Christ, Safe home at last,’ was chosen by his wife, Elizabeth, who was living at St Luke’s Road, Old Windsor, after the war. John Harding was awarded the 14-15 Star and British and Victory medals.